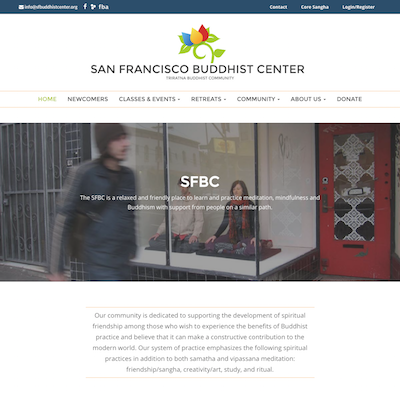 A redesign of the San Francisco Buddhist Center website to use Drupal so that the office team can easily update content. Includes a fully featured event management system to provide a booking system for classes and courses. Visit the San Francisco Buddhist Center website.